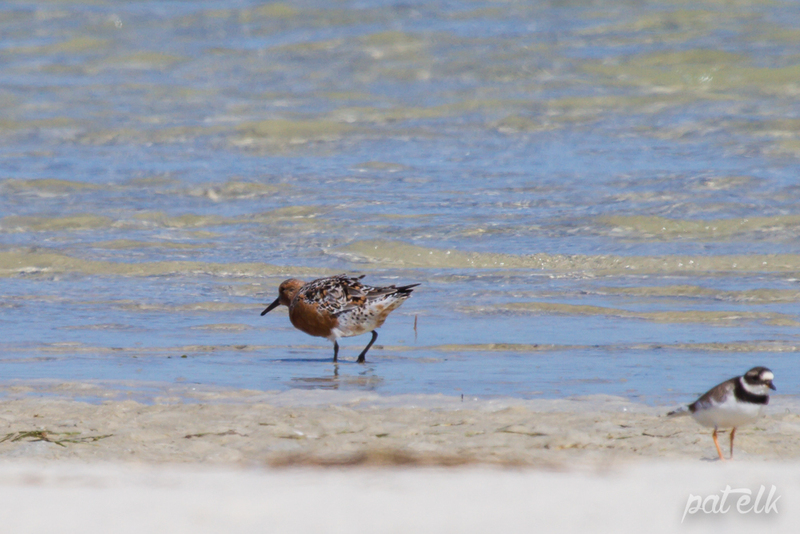 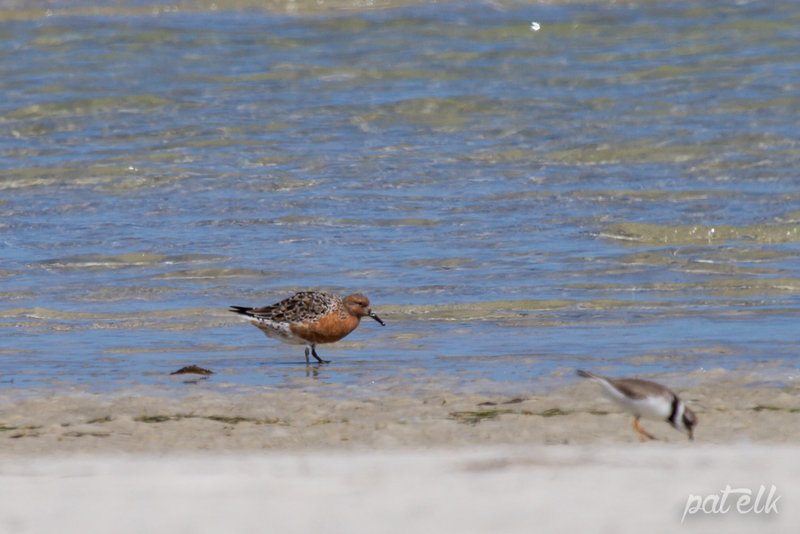 The Red Knot (Afrikaans name, Knoet) is a common coastal Palearctic summer visitor mostly to Namibia and the Langebaan Lagoon, on the West Coast of Southern Africa. 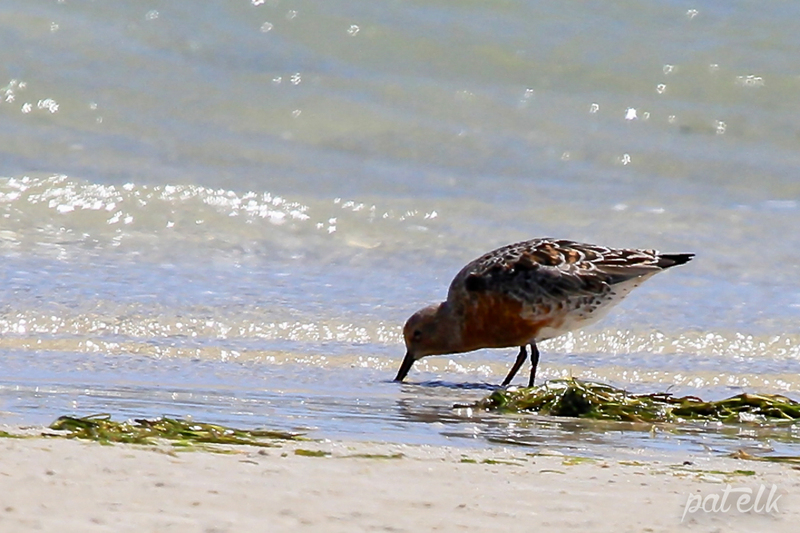 They come into their red breeding plumage just before flying back North to breed. 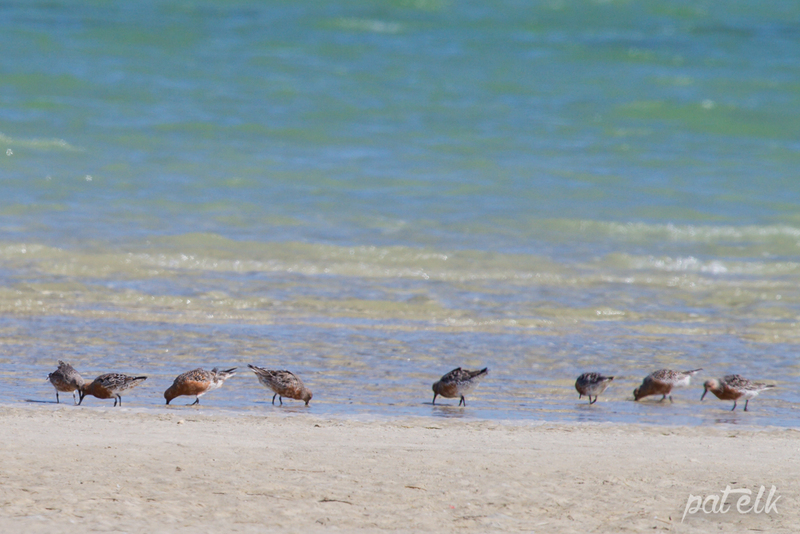 These waders are a joy to see and gather together in small flocks.